To many the role that stock market history plays in whether or not their stocks are going to appreciate or depreciate in value is, at best, minimal. However, a brief look at the influence that stock market history has had to play in the well-being of stock markets over time and how stock markets operate may cause you to have second thoughts about this. The origins of stock markets If you ask most people where the first stock market in the world was, the answer you would like get is either London or New York. In both cases the answer you would have been given would have been wrong – New York is not even the oldest stock market in America (Philadelphia is) and London is not even the oldest stock market in Europe! The oldest accredited stock market in the world opened in 1531 in Belgium. The interesting fact about this, beyond any historical significance, is that the underlying reason why the exchange opened was the same then, the same in the 1600 and 1700s, when stock exchanges around the world mushroomed, and is principally the same reason as why many companies stocks are traded on the stock exchange today – they were and are a means of raising capital. 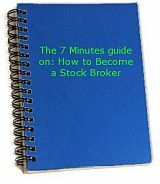 Thus, in most cases, stock markets operate as a secondary market to buy and sell company stocks – and the companies themselves rarely, if ever, make any money out of the stock market listing! How Stock Market History Plays Its Role So, now that you can see that stock markets are primarily a secondary market for buying and selling stock, it may be easier to see how stock market history play such a significant role in how stock markets react today. If not consider this: if you have a bullish market where there are lots of people wanting to buy stock and not many wanting to sell stock you have a squeeze and stock prices will go up. But what happens if the level of the rise in the stock is not substantiated and the price become inflated? Then you may well have a reactionary effect where the market becomes bearish and there are more people wanting to sell than buy. In such a case a stock market crash may occur. If that’s the case, you may be left with the same effects as occurred in 1929 and 1986 (two of the world’s worst stock market crashes). Stock Market History Is Cyclonic, if you were able to trace a complete record of the stock market history, one of the reoccurring themes you should be able to see is that stock markets are cyclonic, they have a stock market crash, followed by a period of instability, then a bullish market followed by a bearish market, and back again to a crash. By using you stock market analysis methodology you should be able to determine where in the cycle your stock market history is and thus be able to determine whether the market is about to take off or crash. You can then use this information to decide whether to buy, sell or hold your stock. And that is how you can use a stock market’s history, dating back over 500 years, to determine what your investment strategy should be today!